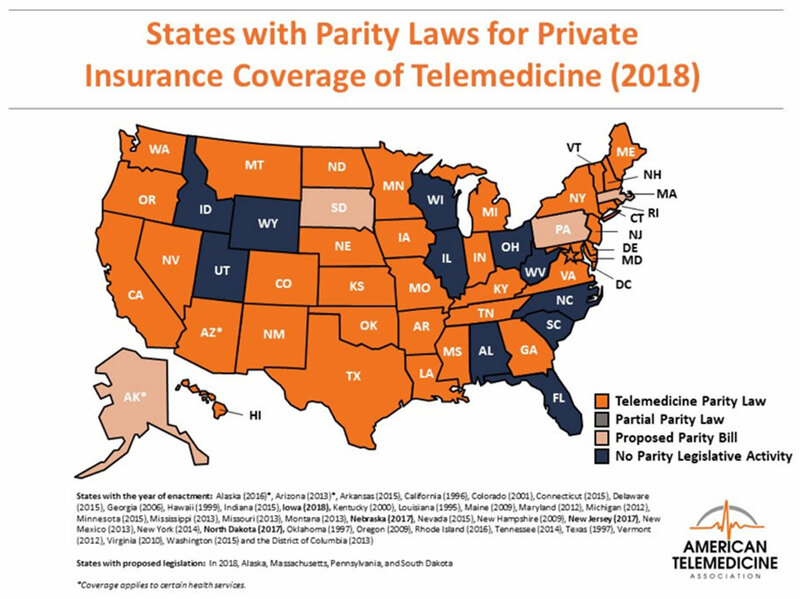 ATA’s State Policy Resource Center monitors telemedicine state policies, identifies and works to resolve barriers to state-level telemedicine use, and provides policy technical assistance to the ATA members and state policymakers. The ATA State Telemedicine Legilative & Regulatory Trackers provides live, up-to-the-minute updates pertaining to telemedicine policy. Each listing includes details on a bill or rule, the corresponding sponsor, language, status and scheduled hearings.